You have data what do you do with it? The best solutions start with thoughtful questions about what is possible. Being able to look beyond the available data to the fundamental questions in our world is the trick. What actually is self optimizing strategy? It sounds so widely encompassing, so interconnecting… which is the exact reason for the difficulty of explaining it. A self-optimizing strategy works at the intersection of Big Data, Analytics and machine Learning or full Artificial Intelligence. Data is analyzed, processes are self optimizing and the resulting processing produces more valuable, more reliable data. The system improves itself and delivers better insights along with better results. 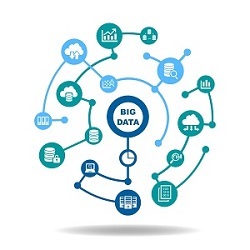 Big Data grows geometrically larger and Analytics more comprehensive and powerful. But as The MIT Sloan Review recently reported, turning analytics into insights and then into practice, improvements and profits is growing complex faster than management’s skills could develop. Every Big Data strategy needs to be built and reimagined with a road map for machine learning and artificial intelligence. Today’s most disruptive players come not from your competitors but from unexpected places. No business case prepared us for a time when a book seller could make news for buying a grocery chain and a cloud technology firm in the same week. Every company needs to build a strategy around Artificial Intelligence starting now. Just as the PC revolution and internet revolution changed the way nearly every business operates, AI will do so but faster and with even greater impact. In the same way that paper and many jobs were made redundant, entire automated processes will be completely changed. More, and higher level jobs will be eliminated. Where the internet and PC were tools for people, analytics and data will be tools for AI. PCI compliance allows you not to worry about meeting evolving regulations and requirements when you begin working with an outsourced ecommerce solution. In addition, some outsourced ecommerce solutions like Cloud Commerce include fraud protection to greatly reduce any risk of hefty chargebacks. When it comes to choosing ecommerce for your business, you can rest assured that Cloud Commerce understands that no two ebusinesses are the same. Outsourced ecommerce solutions offer businesses templates for cart pages which incorporate only the best practices in ecommerce while boasting customizable options to fit right into your website design. Additonally, offer discounts, coupons, free trials, cross-sells or upsells in your shoppers’ checkouts to boost conversions and your overall revenue. Outsourced ecommerce services can automate your recurring payments and subscription management so that your company can offer subscription services to shoppers. Management capabilities over this feature brings many benefits including but not limited to your site’s new ability to automatically retry any failed payments and keep your subscriber payment information updated. The latter ability especially can greatly increase the number of customers and thus revenue of your growing business. Online sales platforms means access to customers all over the world. While this is a lush opportunity, it comes with challenges. Attaining and keeping customers from any where on the globe comes with its difficulties. For the greatest revenue and growth, your business needs a mechanism to intelligently locate your shopper on the gobe and customize their shopping experience completely to their local comfort, from currency to language, support options to payment options, and more. This mechanism also must be able to calculate and convert local taxes to support rule and regulation. Localization is one incredibly important aspect to your site where outsourced ecommerce solutions can dramatically simplify your ecommerce process while benefitting your conversions. With mobile devices being increasingly used to make online purchases and important search engine emphasis on mobile optimization, the importance of mobile ecommerce for your ebusiness is clear. Shoppers’ entire mobile ecommerce experiences should be easy, quick, convenient, and enjoyable. Outsourced ecommerce solutions like Cloud Commerce offer ebusinesses cart pages that are optimized for mobile use to ensure that they do not miss out on the growing mobile shopping market. Successful ecommerce requires constant movement forward. In the fast-paced online market, your business needs to consistently test for the best strategies when it comes to converting your customers and deciding the tactics that may work at increasing lifetime value. Cloud Commerce offers a cart testing service that is incredibly invaluable in testing improvements to your checkout process. Business decisions are strong when based insightful and updated information. Outsourced ecommerce solutions keep you up-to-date using many reporting options to keep you on top of key performance indicators (KPIs) to be enable informed and timely decisions as well as detect what works well and what does not, all while increasing the value of your firm with numbers to back you up. Keeping customers means keeping customers happy. Outsourced ecommerce solutions are equipped with customer management tools and keep available a multi-language billing support team through both phone or email. This gives your business’s internal team more room and time to ensure customer satisfaction and success with purchase. Partner management offered by your outsourced ecommerce solutions will allow you to track and and to automatically calculate and pay your performance marketer or channel partners based on their sales performance, if you do work alongside partners of this type. Expertise and experience is essential in ecommerce. Outsourcing your business’s ecommerce brings in these essential elements of this next step for your business. Backed with teams specialized in the varying aspects of everything detailed above from localizing currency to mobile optimization to security and fraud regulation and mitigation, solutions like Cloud Commerce will affectively bring your company to the edge of the ecommerce game, boosting your business growth and your revenue. To achieve robust sales goals for new products, time is money. Getting the products on the market as quickly as possible is essential to success. It is possible to build and implement your own ecommerce for your business, the very complex, constantly evolving, time-consuming nature of ecommerce will only reduce the time and resources that should be used toward building your core business. All of that expertise and experience is so essential for many reasons—one of them being the overall theme of change. Ecommerce grows your business online, so it naturally must be constantly moving forward with the quickly changing times. From technology to security standards, customer preferences to tax considerations, regulations, and so much more, keeping up to date and paced with change will keep and boost your business’s success. Taking to long to stay ahead means falling behind, bringing falling numbers in conversions and increasing numbers in payment failures. The expertise and experience of an outsourced solution specializing in ecommerce will keep these numbers growing in the directions they should be. By outsourcing your ecommerce platform, you can stay ahead of the curve with a solution that provides payment processing with a multitude of features to cover every aspect in optimizing your ecommerce success. As you act in the interest of being the best at what you, we do the same. If you pass the delegate the establishment and management of your ecommerce platform to Cloud Commerce, you can rest assured that your business will be in the best hands available while you have time to continue being the best at what you do.